It's not as if the festival season ever really takes a break around here, but we are now beginning our descent (or ascent, if you wish) into prime festival season. That's the time of year when beer-centric festivals are held either outside or in venues where outside amenities are intriguing. 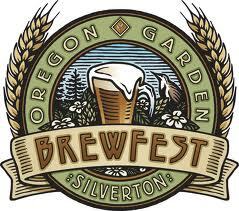 Which brings me to an annual Oregon Garden Brewfest, set for April 26-28 at the J. Frank Schmidt Pavilion in Silverton. This event is now in its ninth year and it's getting better all the time. I traveled down there last year and found a nice selection of beers in a great spot. They've bumped up the imbibing menu this year and expect to feature more than 125 craft beers, ciders and meads from 62 different breweries. There will also be two stages offering live music from 22 Northwest bands. The fest expands to three days this year. Times are noon to 11 p.m. Friday and Saturday, noon to 6 p.m. Sunday. It's a 21 and over-only event Friday and Saturday. Minors are okay all day Sunday. The best place to buy tickets is online, where you can purchase a one-day tasting package for $15. 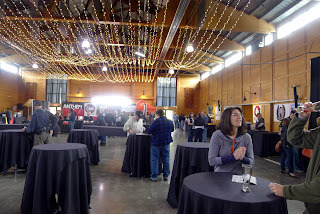 It includes admission, a tasting glass, 7 tasting tickets and express entry. A three-day advance tasting package costs $30 and includes admission for all days, a tasting glass, 15 tasting tickets and express entry. If you wait to buy tickets at the venue, you'll pay the same price and get less in return. A word to the wise. There's a whole lot more information, including a list of breweries and bands, on the festival website here. It should be another great year for this event. While you're in Silverton, stop by Seven Brides Brewing. It's just a hop and a skip from the Oregon Garden.